Recently I lost my cooking mojo, I was doing really well but then for the life of me I could not think of something to cook. I was also a little embarrassed to serve the same meals, not because my husband is picky but because I am!! When I was a little girl, we didn't have many options for meals, it was either black beans, pinto beans, refried beans or nothing!! Lucky for my parents I do like beans but still. That is why I try to add some variety to our meals. With the eternal heat of South Texas I have been serving up a variety of pasta salads but I got pasta-ed out so I decided to add a little cool yogurt raita to some ground beef and make some Mediterranean inspired tacos. I know it sounds cooky but stay with me. As you can see, cook the meat like you normally would, and while that is finishing up you can make your yogurt sauce or raita. Truthfully, I like to make the sauce earlier in the day so the flavors can blend more and also to avoid one step during the crazy that goes on at dinner time. When your kitchen is the size of a shoe, dishes can pile up in a heartbeat, not to mention everyone seems to want to be in the kitchen during this time. I'm talking to you Norman and Newman! I promise you this meal take about 10 minutes, especially if you use a rice cooker like I do. The original recipe is here and this was a nice alternative to cold pasta salads. 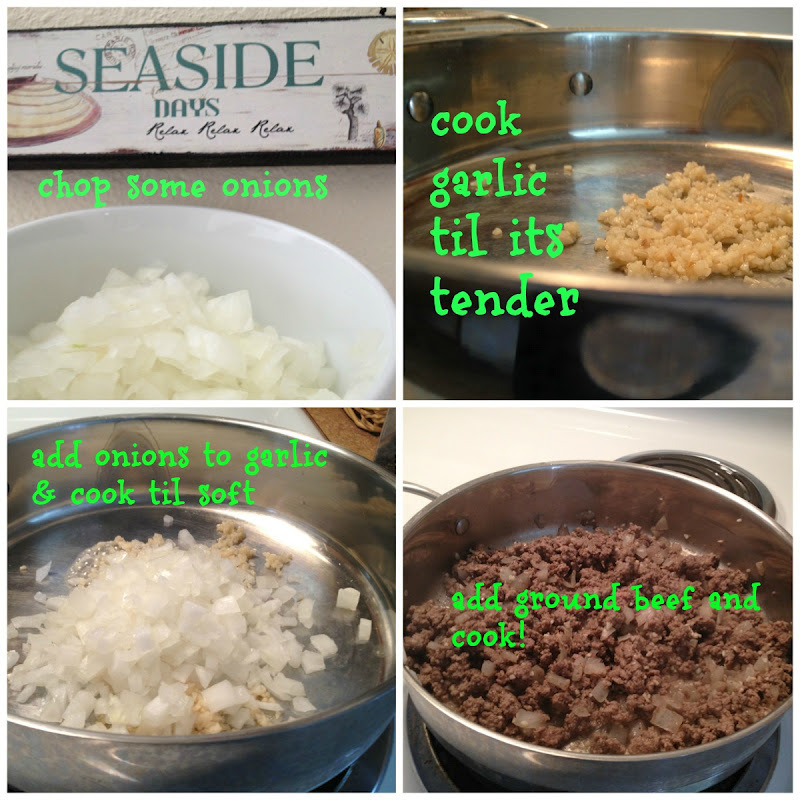 Dare I say, it is even healthy, especially if you use lean ground beef. I hope you have a great weekend, blogger has been acting up with me so I am off to figure it out. They are telling me I need to buy more picture space but I'm not sure if they are serious because they tell me this every six months or so. I have a feeling they are, since I could barely squeeze this post out today. Anyway, enjoy and let me know if you try this recipe. Photobucket does that, too, but they really mean it. Good luck w/ blogger issues. This looks tasty. I think J would like it. For me, I can leave out the ground beef or substitute with fish. Greek yogurt is one of my staples. sounds like the summer eating blahs, thanks to the heat! we feel it too here in the soup bowl of Florida august. I have been making cold bean salads, which are excellent sides or as filler in wraps. your idea looks yummy! It sounds delicious, something I would love!